I then carpeted it up and it looks a lot nicer now. Unfortunately, on the very last cut, I rushed it and absolutely ruined it.. So disappointed in myself, so been racking my brain trying to figure out how to hide/fix. I feel your pain I did the same 臘*♀️ i carpeted a bit of wood and put it down ..
Last edited by Snowrider; 31st January 2019 at 06:32 AM. 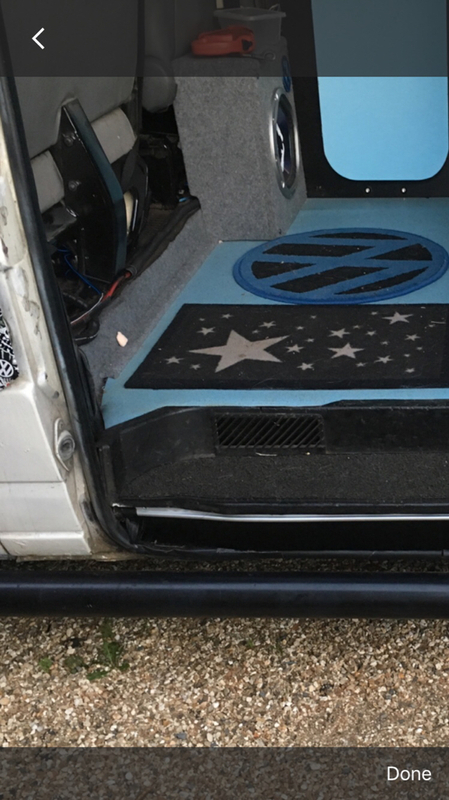 Multivan2's have a 2 piece triangular shaped plastic vent that "hides" the step fitted to vans with the second heat exchanger. Tidies the edging up nicely but not a cheap option by any means.